The $10 million project will focus on protecting rhinos, elephants and pangolin. Vietnam's agriculture ministry and the United States Agency for International Development (USAID) on Friday launched a project to combat wildlife trafficking in Vietnam, with a focus on urban centers where the demand is high. The USAID Saving Species project, with a budget of approximately $10 million, aims to support the Vietnamese government in tackling wildlife crimes in the country, which is currently a major center for the wildlife trade as a consumer, transit route, and supplier of illegal wildlife products. “USAID Saving Species is not just a commitment between the U.S. and Vietnamese governments, it will also link to the efforts of other organizations, within Vietnam and beyond, who are committed to combating wildlife trafficking,” said U.S. Ambassador to Vietnam, Daniel J. Kritenbrink, at the launch event. "Only by working together can we solve this global issue," he said, as cited in a statement. The project will assist the Vietnamese government in improving the legal framework, strengthening and improving law enforcement and prosecution of wildlife crime and reducing consumer demand for illegal wildlife products in the country. Its primary targets of protection are African rhinos, African and Asian elephants and pangolins, most of which are listed as endangered or critically endangered by the International Union for the Conservation of Nature, said a statement from the U.S. embassy in Hanoi. The project will focus on major urban centers with high consumption demands such as Hanoi, Ho Chi Minh City and Da Nang, as well as on areas where they are trafficked, including airports, seaports and land borders. Vietnam bans the trade of rhino horn, ivory and pangolin scales, but has not effectively prevented the trafficking and consumption of the animals. Ivory products and rhino horns are prized in the country for decorative purposes or their use in traditional medicine. Many believe rhino horn could cure cancer and pangolin scales could be used to treat asthma and migraines, or stimulate milk production in breast-feeding women, despite the lack of adequate scientific support. 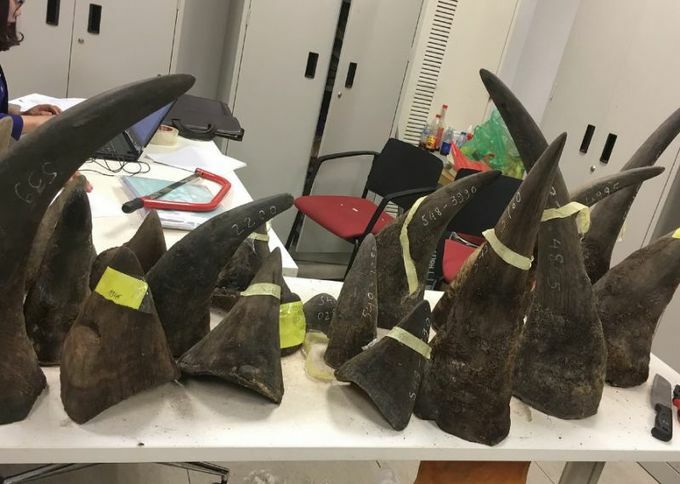 Weak law enforcement in Vietnam has allowed a black market to flourish, making the country a regular transit point for elephant tusks, rhino horns and pangolin scales for other markets in Asia, mainly China. 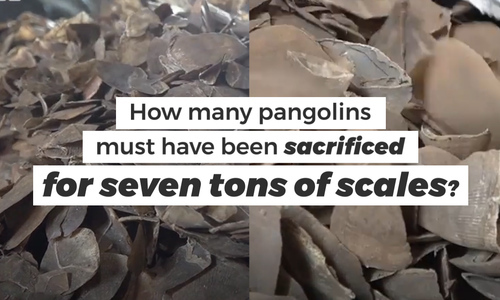 Just last week, authorities in Ho Chi Minh City seized three tons of pangolin scales which were labeled as cashew nuts imported from Nigeria, and on their way to Cambodia.